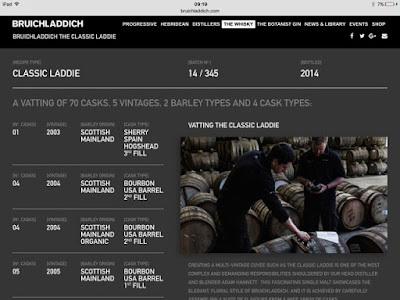 Following the initiative of Compass Box the Bruichladdich distillery decided to join in the campaign for transparency informing the people what the content of the bottle they bought was made from. I looked up my own rotations/batch code and decided to put in some effort in finding out what rotation numbers were used in 2013, 2014, 2015 and up till today the 2nf of October 2016. Below you can see the content of 14/345. 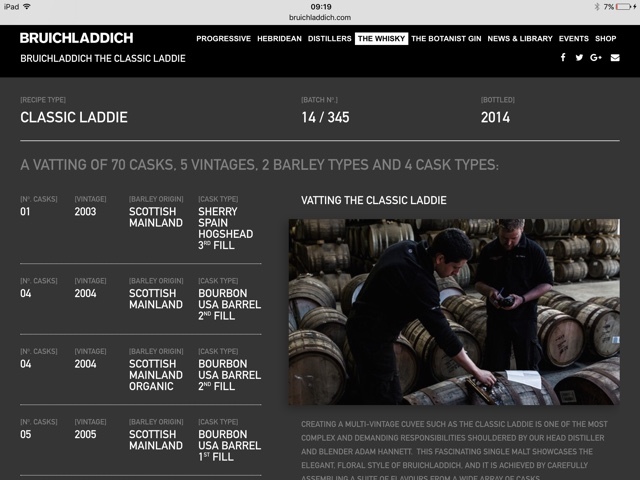 Some of this batch was used in the gift set that contains 3 200ml bottles, one containing classic laddie. I will have fun doing some statistics on the content! Looking forward to it already!